Jean Grant-Sutton’s approach to Integrative Yoga Therapy, is based on a vision of health as a unity of body, mind and spirit. 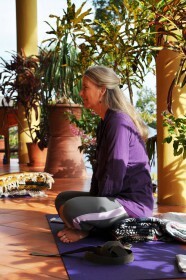 She focuses on bringing balance, strength, flexibility and awareness to the body and mind. 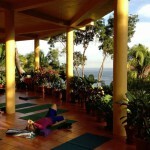 To raise awareness of the primary intention of yoga: awakening of Spirit–our essential nature. This journey is unique to each individual. February , 2020 and you can join in. 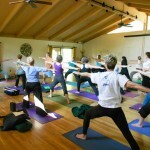 Anyone with at leas 1 year of a yoga practice can attend. It’s not just for those wanting to be teachers, can be a deep dive into the study of yoga for your own personal growth and practice. NEW: Yoga at Home with Jean! A yoga practice guided by Jean Grant-Sutton to support you building the qualities of strength and stability in your whole being. A yoga practice guided by Jean Grant-Sutton to support you experiencing the qualities of balance and equanimity in your whole being. A few months after I retired I had the great fortune of taking the first yoga lesson of my life from Jean. That was 20 months ago and Jean is still my teacher. She is a great listener, observer and adjuster each session. She always works with what I need for my body and mind. She promotes the importance of paying attention to the body/mind/ breath connection as you practice. Jean is knowledgeable, skilled and caring. I value my sessions highly and hope she will willingly keep teaching me for years to come. ~Larry O.
Yoga is an ancient Indian form of meditation and movement to maintain well-being. It improves balance, strength, flexibility, health, and calms our mind. Anyone can do yoga-no matter how young or old you are, whether you’re a couch potato or a professional athlete. Size and fitness level do not matter because there are modifications and other practices we use to explore the mind and body. More….